Eating Contest Titans Go For Fruitcake! His reign as hot dog king over, Takeru Kobayashi is eyeing a new, and just as nausea-inducing, conquest: fruitcakes. Kobayashi, runnerup in the last two Nathan’s hot dog-eating championships at Coney Island, will test his iron stomach tomorrow when he attempts to break the world record for, yes, fruitcake eating. 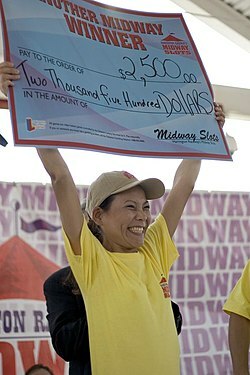 “The Tsunami” Kobayashi won the Nathan’s Famous hot dog eating contest for the fourth year in a row. The six-time frankfurter-eating champion will face an especially stiff and gooey challenge as he tries to best current record-holder Sonya Thomas, who devoured 4 pounds and 14.25 ounces of fruitcake in 10 minutes. Sonya in 2005. Hasn’t gained a pound since…. It will be the first time eating fruitcakes for Kobayashi, who gulped down 63 hot dogs in 12 minutes in 2007. The event, held at Gabriella’s Restaurant on the upper West Side, is designed to raise awareness of the current crisis facing food banks nationwide. You are currently browsing the archives for the fruitcake category.